Home | Herbs & Holistic Health | Herbs A-E | Black Cohosh Standardized Extract 40 mg.
Black Cohosh Standardized Extract 40 mg.
Menopause is a "change of life" that signals the end of a woman's reproductive years, and may cause a vast array of unpredictable emotions, including anxiety and worry. An understanding of the body's changes can help make this transition a smooth one, and can better prepare you to maintain optimal health during these years. Directions: For adults, take one (1) softgel one to two times daily, preferably with meals. Other Ingredients: Soybean Oil, Gelatin, Vegetable Glycerin, Yellow Beeswax, Soy Lecithin, Purified Water. Contains <2% of: Caramel Color, Titanium Dioxide Color. Contains soy ingredients. Black Cohosh Standardized Extract 40mg is rated 4.6 out of 5 by 8. Rated 4 out of 5 by Susee from Black cohosh Not agreeing with my stomach. Have been on different brand for years and no problems. Rated 5 out of 5 by Moore5 from Best Black Cohosh Ever I've tried alot of different brands of Black Cohosh. They all sort of worked but I was still having a hard time with hot flashes and night sweats. All the ones I tried were the root and this one is the extract so I figured what the heck. My hot flashes and night sweats have decreased by more than half and I am thrilled with the results. I will continue this brand of Black Cohosh. Rated 5 out of 5 by LuLu from Great supplement, good quality! 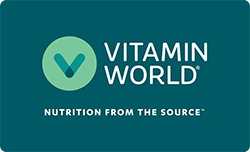 I have tried other brands and Vitamin Worlds brand is the only one so far that is easily digested, and most effective for my hot flashes . Thanks! Rated 4 out of 5 by LoveVW from Black Cohosh I like this product for daily use. Rated 5 out of 5 by FayFay from Hot Flash Killer I take this EVERY DAY and it's the ONLY supplement that works for ME!!! However, if I run out....the flashes resurface so I have to stay STOCKED UP ;o)!!!! Rated 5 out of 5 by Lucky66 from Excellent product customer service I love the quality of the products. People are very polite and helpful. Rated 5 out of 5 by Jetty from A lifesaver!!! I take this product for hot flashes and mood swings and it works wonders for me. Rated 4 out of 5 by Lovin from Great product , pill size (mg) worked for me. I take 1 (3) times a day with meals works great. I also take Evening Primrose 40 mg along with it. Pretty much gets rid of my hot flashes.